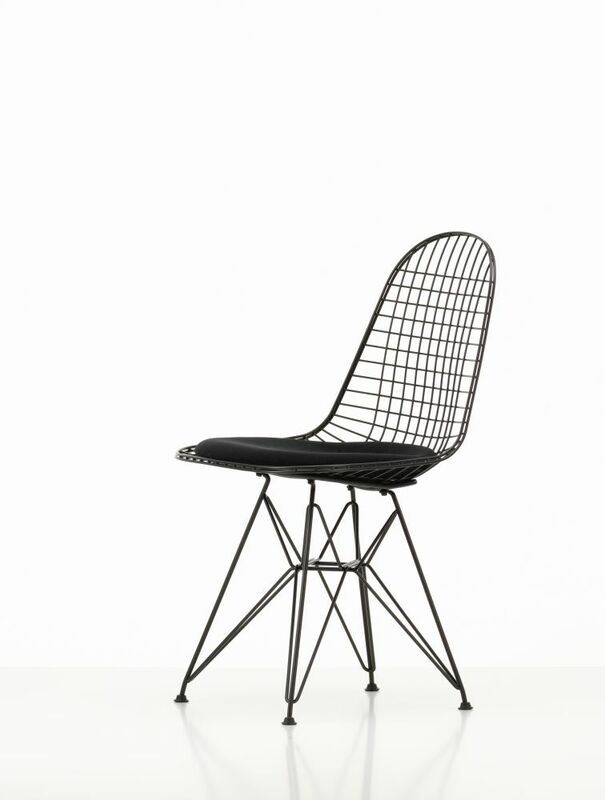 Designed by Charles and Ray Eames, the seat shell of the Wire Chair echoes the form of the Eames Plastic Side Chair. Mounted on the legendary Eiffel Tower base, the DKR combines transparency and functionality. The version with a powder-coated finish is also suited for use in the garden or on the terrace. The DKR chair is optionally available with a seat cushion or with a two-piece seat and back cushion covered in fabric or leather.